Our hearts and prayers have been with the people of Nepal after a 7.9 magnitude earthquake struck west of Nepal's capital of Kathmandu in 2015. The earthquake was also felt and caused significant damage in the neighboring countries of India, Tibet, Bangladesh and China. This is the most powerful earthquake to hit the region in over 80 years. The quake has caused tremendous damage in the vulnerable Kathmandu Valley. Homes were flattened, ancient temples destroyed, and the death toll, which has risen to 4,000 people at the time of writing, continues to rise. The immediate need is search and rescue teams, which are being deployed by Nepal's government, as well as by other countries from around the world. Food, water, blankets, clothes, medical supplies, and temporary shelter are also needed. Week of Compassion is providing emergency aid through our partnership with ACT Alliance. Nepalese authorities are struggling to assess the full scale of the damage across the remote Himalayan nation as communications systems have been damaged in many areas. "We are totally cut off from most parts of our country," Nepal Disaster Management Authority official Ram Narayan Pandey told Reuters. Reports are stating that thousands of people have rushed into the streets of the capital in an effort to remain safe, with many too afraid to return indoors as the city continues to be rocked by aftershocks. One report on the ground from our partner and first responder ACT Alliance shares that, "It has been raining on and off. There are many makeshift shelters in the streets, as people had to abandon their homes quickly. Community kitchens have been set up, and there is generally a spirit of kindness and mutual support in the city...and a shortage of supplies, in particular drinking water and shelter materials. There is no electricity or running water throughout the city. 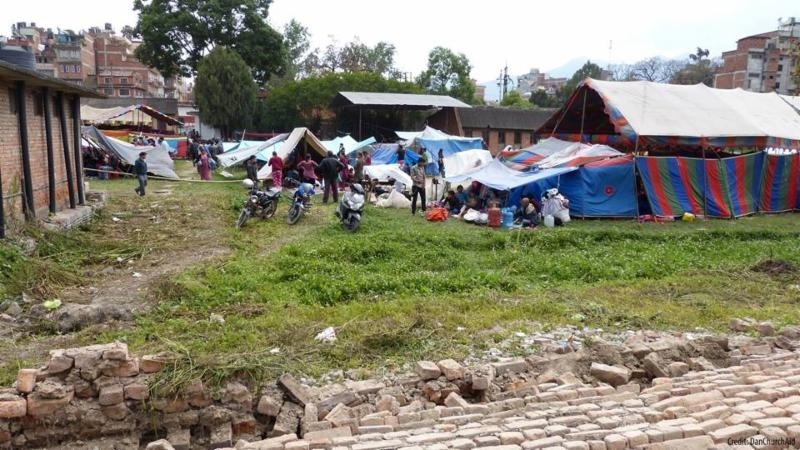 We spent an uneasy night outside - together with the rest of Kathmandu." Your support through Week of Compassion allowed us to be on the ground in these communities within hours of the earthquake to help with relief efforts. We are working with other relief teams and providing support to the many affected and displaced individuals as they seek assistance and hope. We will continue these efforts in the upcoming weeks and months, working alongside the people in Nepal and accompanying them as they recover and rebuild. If you would like to put your Compassion into Action and donate to the earthquake relief efforts in Nepal, please go to our website here and select "Earthquake" in the designation. 100% of your contribution will go toward helping the relief efforts in Nepal. Week of Compassion continues to seek your prayers and support as we work with our trusted partner organizations to provide both immediate relief and long-term support to people of Nepal in the next few weeks and months. Week of Compassion is sharing resources and changing lives. Thank you for sharing your resources and helping to change lives.